Try out the miracle of this non greasy oil that treats oily & acne prone skin. It doesn't feel greasy and helps bring skin back into balance. This light, non-greasy oil has been developed especially to help regulate the skin's oil production and refine open pores; elasticity is improved, inflammation subsides and oil production normalises. Clarifying Day Oil can be mixed with any of the other day creams to protect the skin against harsh weather conditions and other environmental factors. 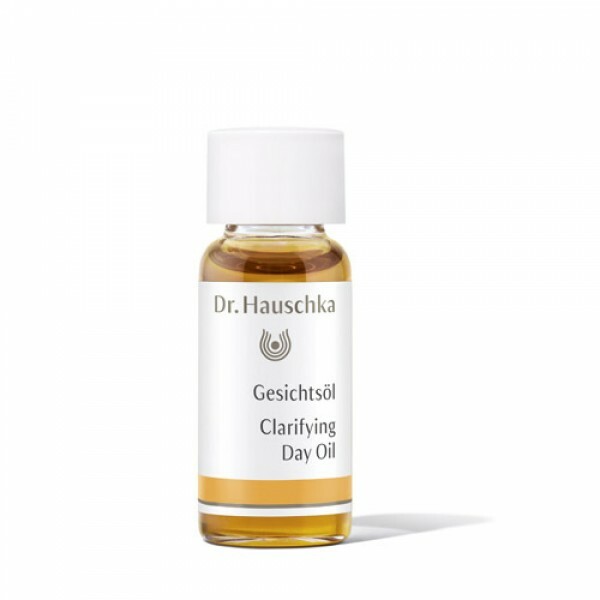 Formerly known as Dr Hauschka Normalising Day Oil - the formula remains the same, just the packaging has changed.